I was home waiting for a service person from Columbia NW Heating and right after she arrived, we happened to look out the window to see a bald eagle flying low right in front of my home on Fishhawk Lake! He was aiming for some non-descript object in Fishhawk Lake. I didn’t have time to grab the camera, but she and I had a wonderful time watching him. He didn’t get it and flew off. He still wasn’t able to retrieve whatever it was and as I was editing the photos, I looked up (not in time to grab the camera), and saw TWO bald eagles head off towards the other end of Fishhawk Lake (a rarity)! Ginger, the service person, has just moved here from Chicago within the last month and has already seen elk during the service calls she does for Columbia NW Heating. She can now put a bald eagle on her list. I will add that she is an excellent addition to their staff; efficient, knowledgeable and friendly– they’re a good company if you ever need this kind of service in Portland, Scappoose, and those of us in the outer fringes like Fishhawk Lake. For other resources, please check my Resource List. 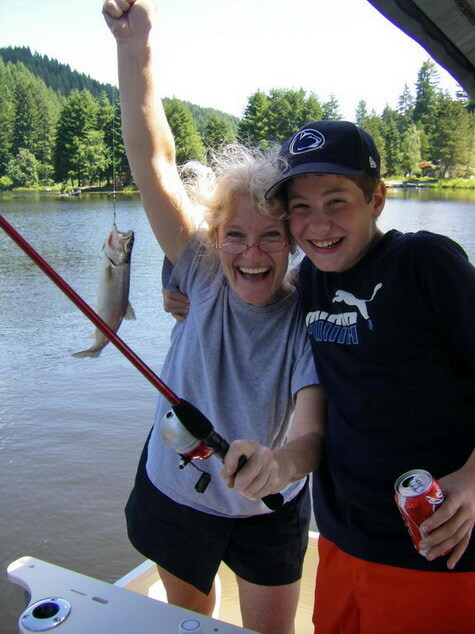 This entry was posted in Fishhawk Lake Seasons, Living on a Lake in the Country, Localism, Nature, Nature at Fishhawk Lake, Photoblogs of Fishhawk Lake, Resource List, Wildlife Photos of Fishhawk Lake and tagged Bald eagle photos, Columbia NW Heating, Fishhawk Lake nature, Fishhawk Lake waterfowl, Fishhawk Lake wildlife, lake fun, local services, nature at Fishhawk Lake, seasonal photos of Fishhawk Lake, things to do at Fishhawk Lake, Wildlife. Bookmark the permalink.